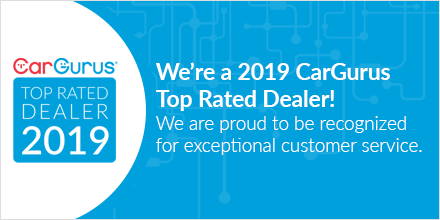 Sorg Nissan is excited to share that we’ve been named a 2019 CarGurus Top Rated Dealer! Our dealership is committed to providing exceptional customer service and we are proud to be recognized for it. A big thank you to all of our amazing customers who took the time to share their experience with us – we couldn’t have done this without you. When you’re in the market for a new vehicle, keep Sorg Nissan in mind. We’d love the opportunity to provide you with some of our award-winning customer service. 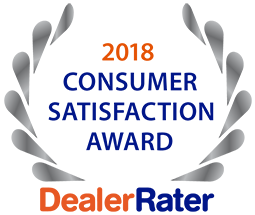 Sorg Nissan has been awarded a 2018 DealerRater Consumer Satisfaction Award, an annual recognition given to auto dealerships that deliver outstanding customer service as rated by online consumer reviews. DealerRater, the world’s leading car dealer review website, created the Consumer Satisfaction Award program to let online car shoppers instantly spot dealers that provide high-quality customer service. 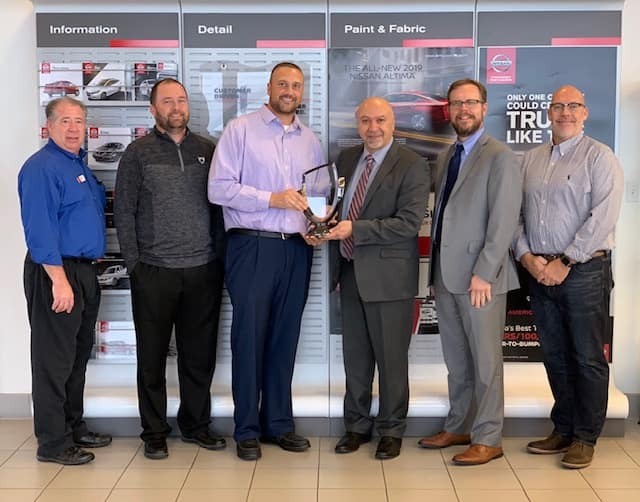 “We’d like to congratulate Sorg Nissan and all of our Consumer Satisfaction Award winners,” said DealerRater General Manager, Jamie Oldershaw. “DealerRater’s extensive review database allows shoppers to identify dealerships that are providing excellent customer experiences, and it’s clear that Sorg Nissan stands out amongst its peers in the U.S.” Sorg Nissan has achieved consistently high scores on the DealerRater website, placing it among the top dealerships nationwide. Online shoppers visiting Sorg Nissan’s dealer page will find a “2018 Consumer Satisfaction Award winner” badge on their profile to instantly recognize it as a high quality dealership. Sorg Nissan Receives the Nissan Award of Excellence for the Seventh Straight Year! The awards keep coming, for the seventh straight year Sorg Nissan has received the Nissan Award of Excellence! Presented to only a select few Nissan dealerships across the country, the Nissan Award of Excellence is bestowed upon those dealerships that display a special dedication to their customer base while also staying true to Nissan’s philosophy and vision. Only after vetting dealerships for performance using a wide range of criteria does Nissan make its award decisions, and the corporation pays particularly close attention to a collection of customer surveys given to Nissan owners. As in past years, Sorg Nissan was lauded time and time again by customers, who celebrated the dealership’s consistent dedication to its clientele. 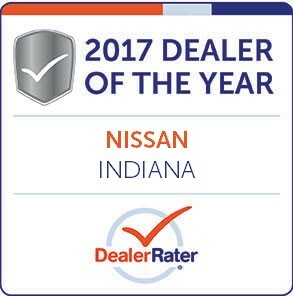 Needless to say, Toby Sorg—owner of Sorg Nissan—is thrilled to have received this honor yet again and commented by saying, “We couldn’t do this without the support of our wonderful customers. We have won this award seven consecutive years by putting our primary focus on you, the customer, and making every experience in our dealership a special one!” Sorg Nissan has always been committed to ensuring that its customers’ experiences are second-to-none, from the show room to the purchase and beyond. Explore what makes Sorg Nissan so distinctive yourself: pay us a visit anytime in order to find out why we have been so consistently celebrated by Nissan and our customers. Find us at 2845 North Detroit Street in Warsaw, or give us a call at 574-267-5850 today, and let us show you true automotive service and excellence! Sorg Nissan is thrilled to announce that we have been named a 2017 Dealer of Year by DealerRater! This marks the second consecutive year that Sorg Nissan has been honored with this recognition. DealerRater is one of the leading automotive review sites and it allows consumers to evaluate dealerships on several different factors. These factors include customer service, quality of work, friendliness, pricing and the customers overall dealership experience. Sorg Nissan has been awarded a 2016 DealerRater Dealer of the Year Award, an annual recognition given to the top-rated auto dealerships on www.dealerrater.com. The Dealer of the Year is given to just a handful of dealers across the U.S. Sorg Nissan has received consistently high marks on www.dealerrater.com, making it one of the top U.S. dealerships on the site. The Dealer of the Year Awards program was created to recognize automotive dealerships whose sales and service operations exemplify excellence.